In this white paper, you will understand how a local cash payment method will allow your business to access 83% of the population—that you currently aren't reaching in Mexico. 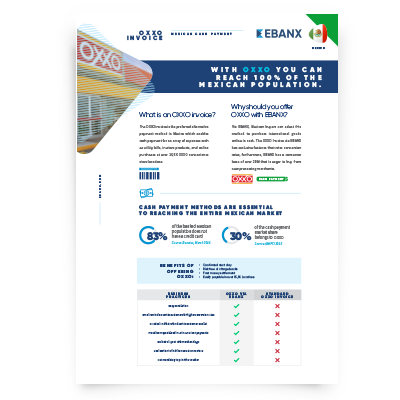 With the OXXO Invoice via EBANX, you can reach 100% of Mexican consumers. What is an OXXO invoice?